Originally released back in 2013, Brooklyn’s Eyes of the Sun had a quiet reception for Chapter I. But with the band being picked up by Blacklight Media Records, it was high time to give the album a label-backed official reception and for good reason. Chapter I provides a dark and atmospheric approach to doom that’s not exactly inside the box. 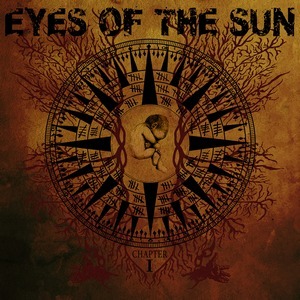 Eyes of the Sun qualifies as a band that will get lumped into the doom metal genre just because they have a tendency to play at slower tempos. The sludgy and heavy guitar tone doesn’t hurt them either in that regard, but there’s much more at hand than a simple genre tag can imply. Sludgy anger can seem to fill up and erupt at given moments, as the songs build to their peak. But there’s just as much ambient gloom that gives the band their appeal. “When it Dies” lurks in the shadows, illustrating plenty of bleak and desolate feelings before it begins to escalate. But when it does begin to so, it’s an utter monster. Mammoth riffs and angry shouts work as a magnificent playoff to the slowburner of a track. The dynamic that Eyes of the Sun works with is one of the key factors to their sound. Moody, ominous, and foreboding at their most mellow, they draw you in so that you are eagerly awaiting the next change in tone. When the heavier moments drop, like in “End of Origin,” there’s an almost hypnotic feel to the riffs at points – it’s no competition between the two parts, but rather one helping to accentuate the other. Chapter I is a strong opening from Eyes of the Sun. The bleak and dark moods contrast strongly with the moments of heaviness, and open up the band to further explore this dynamic in the future. A winner for those seeking downtrodden yet occasionally furious material.